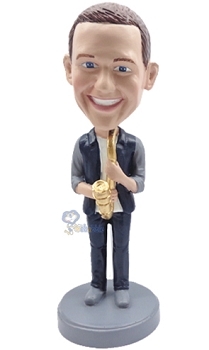 This Saxophone custom bobbleheads doll have dark hair and light eyes. He is wearing dark open collared shirt with light t shirt under it and a dark jeans. In his front he hold by both hands his saxophone.